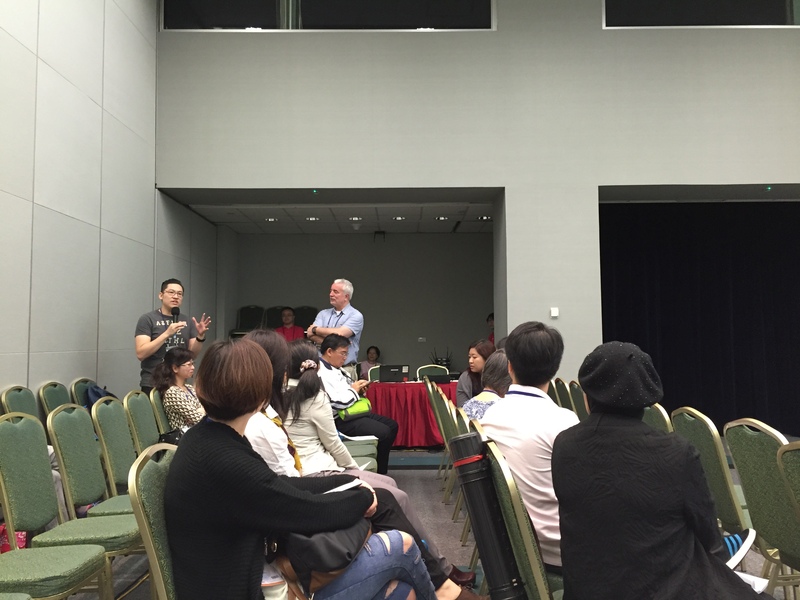 The pre-conference workshops were a particular highlight for me. I had the great fortune to attend two of these: one on advocacy, hosted by David Praill (United Kingdom) and Steven Connor (United States of America) from World Hospice and Palliative Care Alliance (WHPCA); and another on research, led by Patsy Yates and Susan Lee, both experienced Australian academics. The workshops were a great way to learn: following a series of lectures, we formed small multi-national, multi-disciplinary groups and practiced applying our newly acquired knowledge and skills on issues and questions derived from on our day-to-day work. Other workshop focused on: paediatrics, whole-person care, spirituality, communication skills teaching and education. Not surprisingly, this international conference featured a number of high-calibre keynote speakers, whose plenaries did not disappoint. Tom Hutchinson (Canada) spoke engagingly about whole-person care, particularly the need for all clinicians to practice mindful congruence in order to facilitate healing. Co-Chi Chantal Chao (Taiwan) shed light on “eastern” culture concepts on health and suffering, such as ying-yang, chi, connectedness and yielding to karma. Noreen Chan (Singapore) delivered a humorous yet thought-provoking lecture on contemporary views on spirituality, while Joan Marston (South Africa) discussed expressions of spirituality in children. Ilora Finlay (United Kingdom) addressed the conference theme in her wide-ranging lecture: “Meeting the Challenges by Transforming Palliative Care”, which included a section on the challenges posed by euthanasia and physician-assisted death. Stephen Connor updated the delegates on the advocacy work of the WHPCA, such as the recent adoption of a resolution on universal palliative care by the World Health Assembly and the Global Atlas of Palliative Care at the End of Life, which was co-published by the World Health Organization. Bee Wee (United Kingdom) took on the difficult task of trying to predict the “Challenges Facing Palliative Care in the Next 10 Years”; while Patsy Yates shared her extensive experience and perspective on establishing an evidence base in palliative care nursing. The final plenary session featured wonderfully accessible talks from Ross Drake (New Zealand) and Julia Downing (Uganda) on working with children, adolescents and young adults. As is usual for meetings of this size and scope, numerous sessions were held concurrently (apart from plenaries), which meant one was usually spoilt for choice. The more popular talks were often packed to the rafters, while the quieter presentations allowed a more intimate exchange of ideas and experiences. Of the sessions I attended, I particularly enjoyed Rosalie Shaw’s (Australia) reflections on her (ongoing) work in palliative care from its very beginning in our region; Ramaswamy Akhileswaran’s (Singapore) presentation on caring for caregivers, which featured lots of interesting ways of engaging the community; Amy Chow’s (Hong Kong) comprehensive run-through of bereavement care; Tom Hutchinson’s recollection of his weekend with Virginia Satir; and Ilora Finlay’s musings on what it means to be a palliative care physician. Like all great conferences, my first APHC experience continued after hours with the world premiere of “Little Stars”, a film on paediatrics palliative care commissioned by the International Children’s Palliative Care Network; a relaxed welcome reception that encouraged the rekindling of old acquaintances and the forging of new ones; as well as a hilarious gala dinner featuring performances from each country, lots of dancing and singing, and innumerable courses of delicious food and plenty to drink. 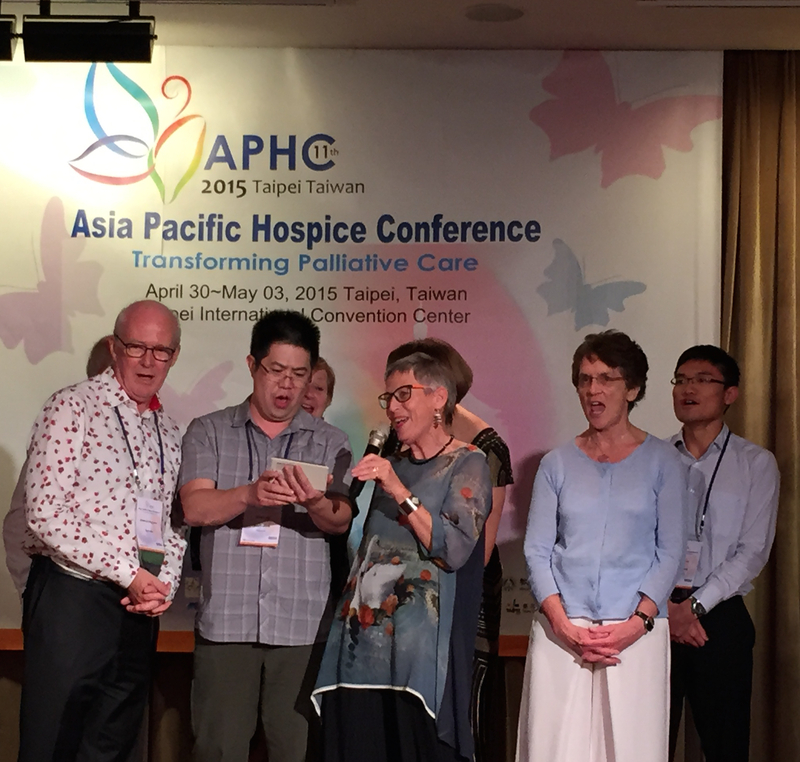 At the beginning of APHC 2015, the chairperson of Asia Pacific Hospice Network, Cynthia Goh, noted that: “it’s not possible to do palliative care without being transformed yourself”. Having attended APHC 2015, I humbly submit that it’s also not possible to attend a conference like this without being transformed. It has certainly opened my eyes to many aspects of palliative care that I had not thought of previously. While I feel reinvigorated to return to my clinical and research work, I am also determined to learn more about whole-person care and public health. 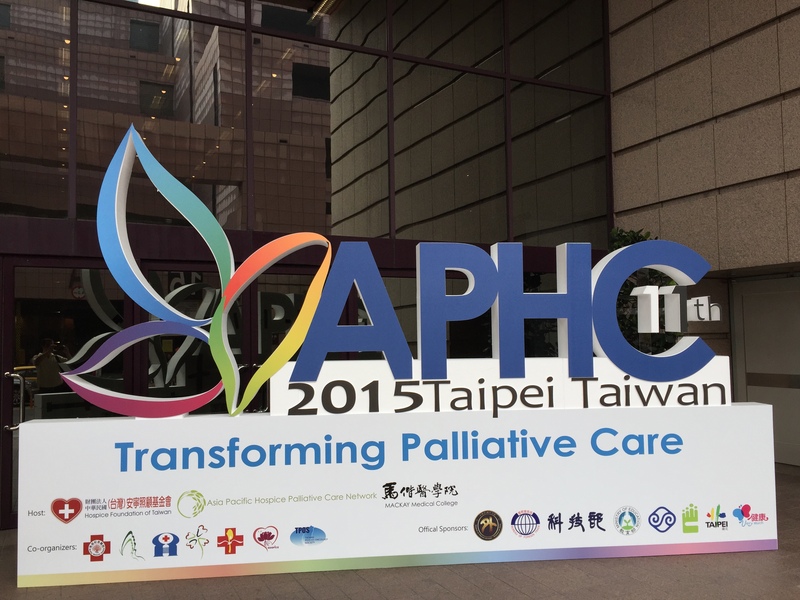 I would encourage everyone interested in palliative care to attend the APHC 2017 conference in Singapore! 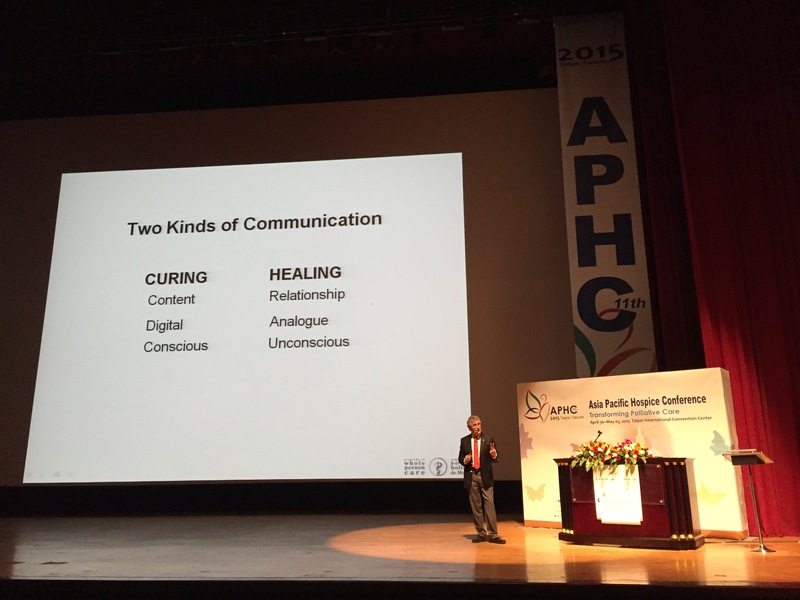 This entry was posted in Clinical, conferences, Ideas, People, Practice, research and tagged #APHC2015, APHC by Chi. Bookmark the permalink.